The beautiful smile can change your life. 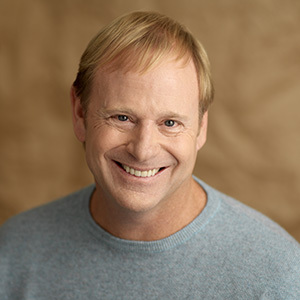 Solana Beach Dentist, Dr. Rosenfeld, knows that people who are confident with their smiles are more confident in themselves. They smile more. They laugh more. They feel more comfortable during social interactions and speak more clearly. Dr. Rosenfeld wants his patients to lead long, happy lives. He knows that one of the keys to a lifetime of happiness is a beautiful smile. His dental practice offers a variety of cosmetic dentistry services to Solana Beach, Del Mar, Rancho Santa Fe, and each personalized service can help you get the beautiful smile you’ve always wanted. TEETH WHITENING | If you want a beautiful smile, you want it to be naturally white. Your Solana Beach cosmetic dentist office uses the ZOOM! whitening system as the cosmetic dentistry treatment of choice for patients who want whiter teeth. With ZOOM! Dr. Rosenfeld can whiten a patient’s teeth up to eight shades in only one hour. If you want a process that is a little more gradual, our office also offers take home whitening trays. PORCELAIN VENEERS | Our porcelain veneers can be tailored to fix a variety of imperfections in your teeth including chips, gaps, and discoloration. The thin porcelain is attached directly onto your tooth by your cosmetic dentist, Dr. Rosenfeld, with results that look naturally beautiful. This cosmetic dentistry service can whiten your smile and fix those issues that may be holding you back from achieving the beautiful smile you’ve always wanted. DENTAL BONDING | Dental bonding can also fix a variety of imperfections and is a great cosmetic dental service. Dr. Rosenfeld utilizes tooth colored bonding material to shape your teeth for a beautiful smile. Your cosmetic dentist can close gaps and repair broken or chipped teeth to restore your beautiful smile. For more information about our cosmetic dentistry procedures, contact your cosmetic dentist, Dr. Rosenfeld, at his office. With our cosmetic dentistry procedures, we can make your beautiful smile last for years.